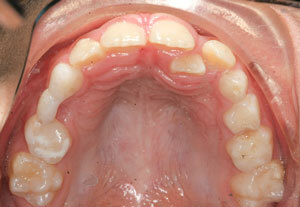 This little girl had two upper lateral teeth where there should only be one, one behind the other in the arch. This extra tooth is called a supernumerary. 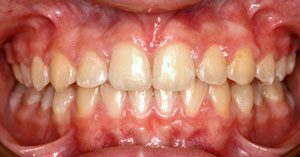 When she bites down, the outer, visible one is flared outwards, the other one is hiding (in crossbite) behind the lower incisors. 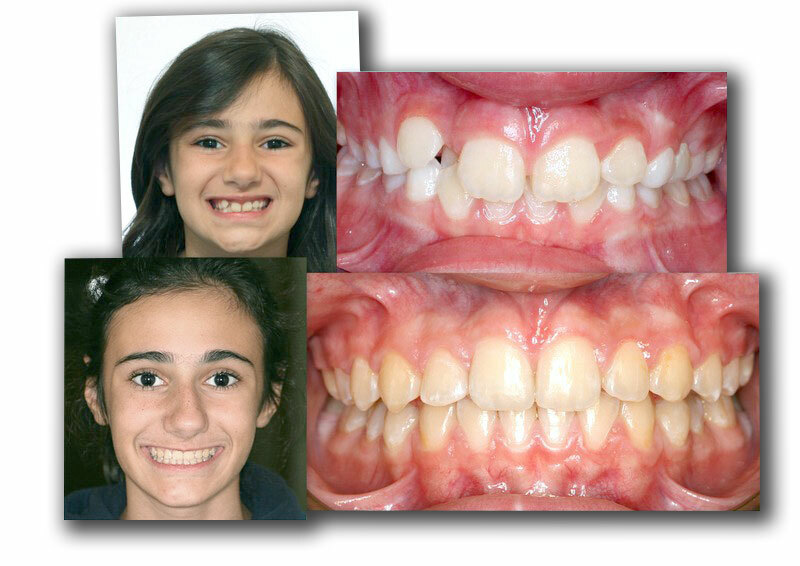 The first step as usual, while she still had her baby teeth, was to address the jaw foundation with a removable jaw orthopedic appliance to develop her upper arch. 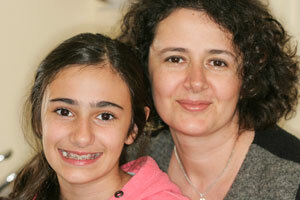 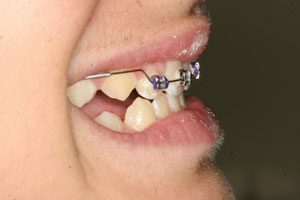 By the time she started losing the baby teeth, we were ready to transition into fixed braces. 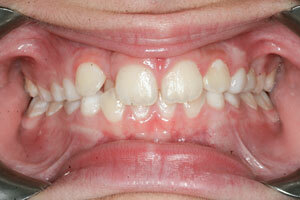 Her extra lateral incisor was extracted and brackets were placed on the upper incisors. 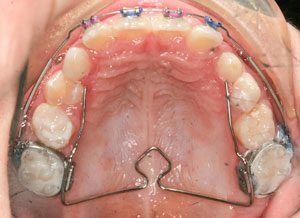 A Wilson expander/palatal holding wire was placed which allowed us to continue a slow rate of expansion while providing an anchor to align the front teeth into a straight line. 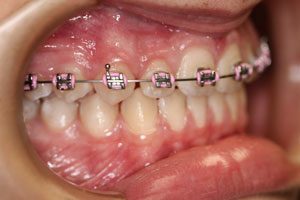 An incisal ramp was bonded behind her upper incisors to provide a vertical bite gain. 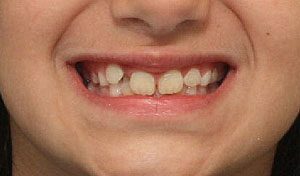 As the permanent teeth grow into position, they will meet at that dimension and provide a more favorable alignment. 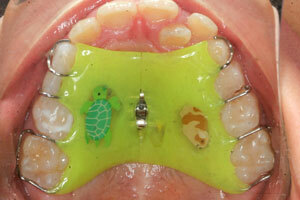 A few months later the rest of the teeth received braces as they emerged. 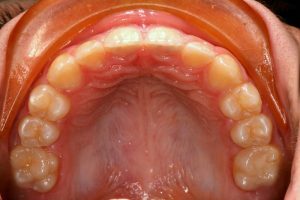 Since the lower jaw had an adequate arch size and straight teeth, we decided to remain conservative and not place braces on the lower teeth. 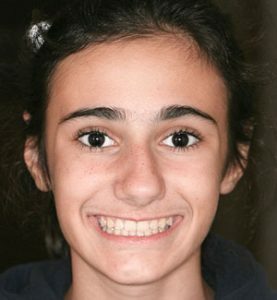 Her smile is already wide and beautiful. 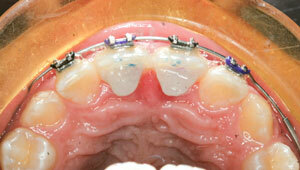 After less than a year treatment is complete and we have a spectacular result.